Before commenting on this book, I need to give you some background. Just eleven days ago, BuzzFeed Books online posted “The 51 Best Fantasy Series Ever Written.” It listed Rothfuss at the top with his novel The Name of the Wind. Yesterday I drove to my local library, but that novel was checked out. So I grabbed his book The Slow Regard of Silent Things instead. I read it the same day. It's a short book. Now we've all run across these sorts of online lists before. Last year I found the site “BestFantasyBooks.com, which boasts several lists: 100 Best Fantasy Novels, 100 Worst Fantasy Novels, Best Fantasy for Women, Best Fantasy for Children, Fantasy with Dragons, etc. And after recognizing some of the entries, some of which I'd read and considered crap, coupled with the fact that the site is maintained by a book critic whose writing – spelling errors and bad grammar galore – failed to inspire confidence in his skills in discernment, I ultimately dismissed that site as a waste of time. Which might seem odd considering that back in my early twenties, when I wasn't the curmudgeon I am today, fantasy fiction was my favorite genre. I preferred stories about knights and elves and dragons much like a widow or a single mom might gravitate toward romance novels or erotica. But I was a child with regards to literature back then, having yet to experience Bradbury or Davies or Nabokov or Salinger or Steinbeck. In other words, I'd essentially lived on drive-thru fare and had never been to a four star restaurant. What did I know about fine dining? I was too busy championing the convenience of bland burgers sealed in Styrofoam. In fact, by the time I'd reached the bottom of the book barrel of fantasy fiction in my mid-twenties, having already read Tolkien's Rings Trilogy, Lewis' Narnia Chronicles, and George McDonald's Princess duology, I moved on to the transient trash of some of the more contemporary fantasy writers. (I won't name names.) It was round this time that, in a moment of desperation, I accepted a boxed trilogy from a friend. A Dragonlance series by the writing couple Tracy Hickman and Margaret Wies. It shames me to recall that I actually recommended the first book to another friend who has since published nearly a dozen novels. This friend has read hundreds and hundreds of books. Once I'd recovered from this bombshell I asked him whether he knew of any fantasy fiction that offered the kinds of things he was talking about. He recommended Stephen R. Donaldson's Covenant Chronicles. Anyone who knows me knows about my love affair with Donaldson's genius. Those books fried my brain. I soon realized not only what was possible but what awful rot I'd been reading. It was because of Donaldson that I became a writer. Before you dismiss my criticism as the ravings of a prude, I'd love to crack open any novel by, say, Graham Greene or Kipling or Mary Stewart and compare it to your favorite passages in, say, Terry Brook's Sword of Shannara. Then you can tell me whether Brooks' prose, in contrast, doesn't stink to high Heaven. After spending a few minutes examining some of the greats, I believe that you, too, will begin to recognize the difference between inspired storytelling and meandering muddle. 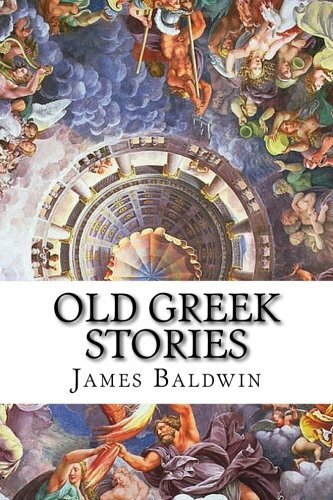 I can't tell you how many times I've read reviews on Amazon.com in which the reader says, “Two out of five stars, but I'll probably read the rest in the series.” I can't help but wonder why, when there's so much wonderful literature out there, unless of course said reader is partial only with regards to genre. Having said that, and to show what a hypocrite I am, I still plan to read the books listed on BuzzFeed's site, the ones I haven't read already, even though most of the few I've read on that list were of poor quality. One of the reasons I've decided to do this is because I write fantasy, and I think it's important to know the market. Not to be cruel, but one can learn from bad writers too, if only to confront what not to do. I've said this before: no serious writer has any legitimate excuse for pushing a bad manuscript anymore, to say nothing of some of these publishing houses that ship out this drivel. With access to writer's workshops and books that teach the mechanics of storytelling, character and plot development, as well as friends willing to read one's stuff and tell him or her whether what they've written is crap, we the reading public should be spared the inglorious experience of second rate novels. With that in mind, I refer you to something Rothfuss said in the Author's Forward of his book The Slow Regard of Silent Things. “You might not want to buy this book.” Gratefully, I got my copy for free at the public library. “First, if you haven't read my other books, you don't want to start here.” Fair enough. I appreciate the heads-up. 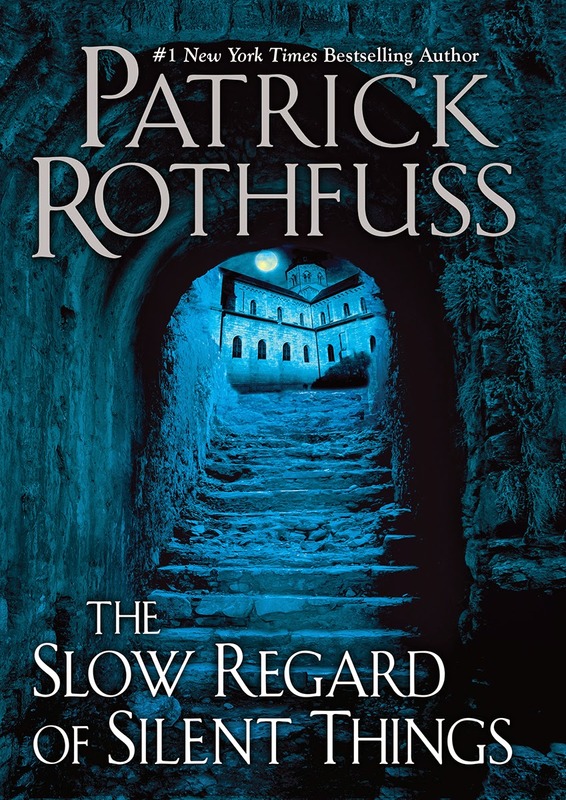 A few paragraphs later, he writes, “Second, even if you have read my other books, I think it's only fair to warn you that this is a bit of a strange story.” Had I known Rothfuss' definition of 'story' was 'a series of scenes lacking any character apart from the protagonist with no dialogue and no plot and no gradual building toward an ending let alone a climax,” I certainly would've dropped the book in favor of anything else from my stack of Books-To-Read-This-Year. At the same time, and to be fair, I've read, and have enjoyed, plot-free novels. Though my friends enjoyed Ray Bradbury's Dandelion Wine more than I did, that's one example. Steinbeck's Travels with Charlie, which I thoroughly enjoyed, is another. And in Rothfuss's defense, I should point out the guy's not an awful prose writer. In fact, I'd go so far as to say his style, though rough round the edges, has a certain charm. Like Nabokov, he evidently enjoys word games and playing with homonyms. But Nabokov's word games never distracted from the flow of the writing. With Rothfuss, it's beyond distracting; it's downright confusing at times. I'm grateful this vignette is only 150 pages or so since I couldn't have gotten through a novel length version of what amounts to a meandering rough draft. Lastly, at the back of the book, at the Author's Endnote, Rothfuss writes about this book: “It was weird and wrong and tangled and missing so many things that a story is supposed to need.” Having read the thing, I'd agree. He goes on to say that he'd never intended to write this 'story' and that he'd argued against the merits of this 'story' with a friend who claimed to like it. He goes on to talk about his writing in general, how “The Name of the Wind does a lot of things it's not supposed to do. The prologue is a laundry list of things you should never do as a writer.” He then justifies this approach by arguing that “Sometimes a story works because it's different.” Different and doing “... a lot of things it's not supposed to do” are two entirely different things. Look, I can empathize. I've written stuff I'll never show to anyone. But that's the difference. While I celebrate those hypnotic writing sessions when the Muse is whispering in your ear and you're typing furiously to keep up if only to discover what will happen next, there's a difference between this practice and the final performance or end product. Just ask any recitalist. Don't fall prey to what one critic has distinguished by saying “That's not writing; that's just typing.” If you publish your ramblings, expect to be chided. As any good writer will tell you, part of the manuscript writing process involves dumping sometimes tens of thousands of words. Of my 150K word manuscript, I tossed at least that much, and yes, I would've preferred some anesthesia during some of that surgery. False starts, weak scenes, bad lines, and so on must be expunged from your finished work. Unless they're like me and frequent the public library, readers pay good money for books and deserve better. Again, Rothfuss shows promise, and I think he could achieve great things. I was encouraged to read that he has dozens of beta readers. I wish I could lay claim to dozens. I just wish his beta readers had more discriminating tastes or demanded the sorts of things good stories require, such as a plot, character development, and scenes that effect the story's outcome. But I'm not about to outline what any number of good books on the subject could teach him.